Thanks for visiting our website! 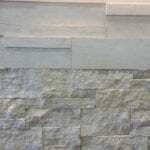 We’re promoting specials on some of our custom stone and landscaping products and services on this page. Please check back later if you can’t find something you like. This new, exclusive, high-end stone product will make your home or property the envy of everybody!